CHALLENGES AHEAD: The EU has already had to face several major crises and little suggests that it will be easier in the time to come, Ivan Krastev argued during his talk at NUPI. 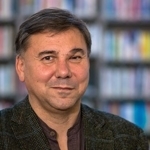 In his thought-provoking book from 2017, After Europe, Ivan Krastev reflects on the future of the EU – arguing that “[the] European Union is going through a really bad time today, torn apart by numerous crises that damage confidence in the future of the project among citizens across the continent (making) the disintegration of the union one of the possible outcomes”. 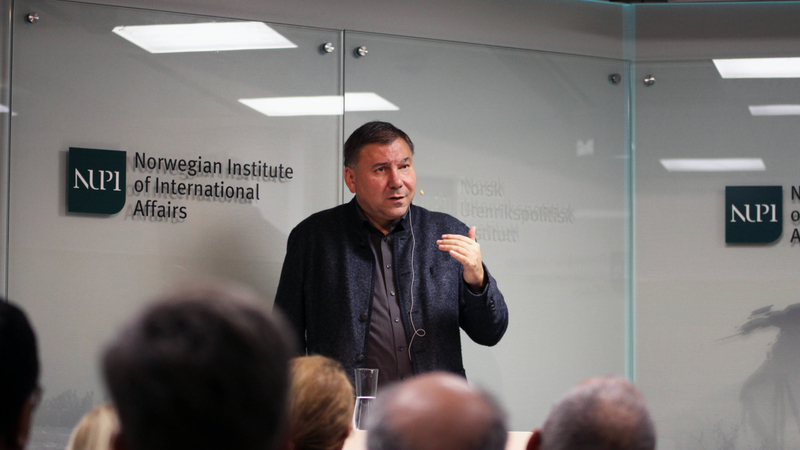 At this NUPI seminar on 21 November, Ivan Krastev discussed whether the EU is ready to handle major challenges such as migration, the spread of right-wing populism, and instability in the East. Although Krastev emphasized that Europe has failed repeatedly the past 70 years, he focused on four crises that have basically been shaping the European Union the past decade. He started with the financial crisis in 2008, which had an important impact on Europeans’ economic expectations and thus also the EU’s legitimacy in the eyes of its citizens. The second crisis was the Ukrainian crisis, and Russia’s annexation of Crimea. According to Krastev, this was critical because part of the European identity was built on the very idea that in Europe, military power doesn’t matter anymore. Here, what mattered was economic power and soft power. However, after 2014, we suddenly realized that we probably convinced ourselves that it doesn’t matter because we don’t have it, Krastev argued. A majority of Europeans continue to take peace for granted, and Krastev pointed to three important factors that has led to this current mindset: 1) younger generations view WWII as ancient history; 2) survivors of WWII are deceased; and 3) European citizens who arrived from outside the continent does not view WWII as their war. According to Krastev, viewing military power as outdated has become a vulnerability rather than an advantage, especially now that we cannot rely on the US as a security guarantor anymore and the world is “becoming more dangerous”. The third crisis he pointed to was Brexit, which was important on many aspects, from institutional to economic and psychological. Suddenly disintegration went from being unthinkable to inevitable. Krastev argues in his book that while the financial crisis divided the union over a North-South axis, Brexit highlighted the division between the core and the periphery. The fourth crisis Krastev focused on was the migration crisis, which he argued was the first pan-European crisis among them. According to Krastev, it is this crisis that threatens the future survival of the union. He argued that like 9/11 changed how Americans perceived the world around them, the Syrian refugee crisis did the same to Europeans. While inclusion and protection of minority and human rights defined post-1968 Europe, European majorities were now feeling genuinely threatened that they were the losers of globalization. This, combined with the events of 2015 and the center-left’s failure to integrate demands from those who fear exclusion, fueled the rise of right-wing populism. A paradox in this regard, according Krastev, is that those most critical towards migrants are often from countries with the lowest number of migrants. The EU still hasn’t been able to find a solution on the migration issue – people are still drowning in the Mediterranean Sea. Right-wing populists continue to feed on the lack of political consensus on migration, which will pose a challenge to Europe in the time to come. Therefore, the legitimate demands of the far-right should be met, including well-protected external borders, Krastev argued. In this regard, Morten Bøås added that while US president Donald Trump talks about building walls, Europe is in fact building them right now. As the EUNPACK project has pointed to, the refugee crisis led the EU’s crisis response in the Middle East and Sahel to become more security- and interest-driven. Krastev also highlighted that depopulation is also an imminent challenge to the EU. The free movement of people has led to a brain drain in many European countries. Even for migrants arriving for Syria, few of them wants to settle in countries where many of its own citizens are leaving, such as Bulgaria and Romania. As result, while Western Europe is preoccupied dealing with increasing diversity in their previously homogenous societies, Eastern Europeans struggles to deal with depopulation, and mainly of young people. After Krastev’s presentation, Morten Bøås commented that although Europe is at a crucial moment in time, it is not on the brink. He agreed with Krastev’s argument that Europeans have been taking things for granted, referring to them as “sleepwalkers”, and that the wakeup call still hasn’t reached Brussels yet. The EU needs to prove itself, it needs to show that it is ʻfit for the futureʼ. The event was part of NUPI’s seminar series Norway meets Europe and closely linked to the EUNPACK project. It was chaired by Research Professor Pernille Rieker (NUPI), while Research Professor Morten Bøås (NUPI) provided comments to Krastev’s presentation. While the EUNPACK project examines the EU’s capacity or lack of capacity to engage in external crisis response, the focus of this event was the EU’s capacity or lack of capacity to handle internal crises. One of the key findings of the EUNPACK project is that while the EU is heavily engaged and has a comprehensive approach to crisis throughout the crisis cycle, the EU lacks conflict sensitivity based on an in-depth understanding of the root causes of conflict in the areas it is engaged. For more information on NUPI's research on Europe and the EU, please visit NUPI Centre for European Studies (NCE). Europe is constantly changing. Norway has close links to the EU and Europe, and economic and political transitions on the continent will have considerable consequences for the country.